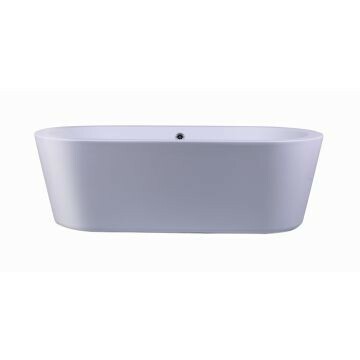 Kate Woburn 1800 freestanding bath, 1765x800mm. 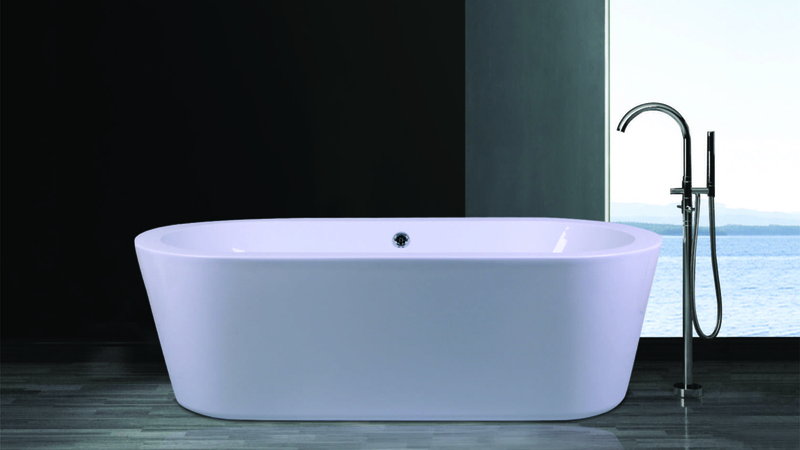 Modern, 1-piece, seamless acrylic bath. Classic minimilistic clean-lined beauty. 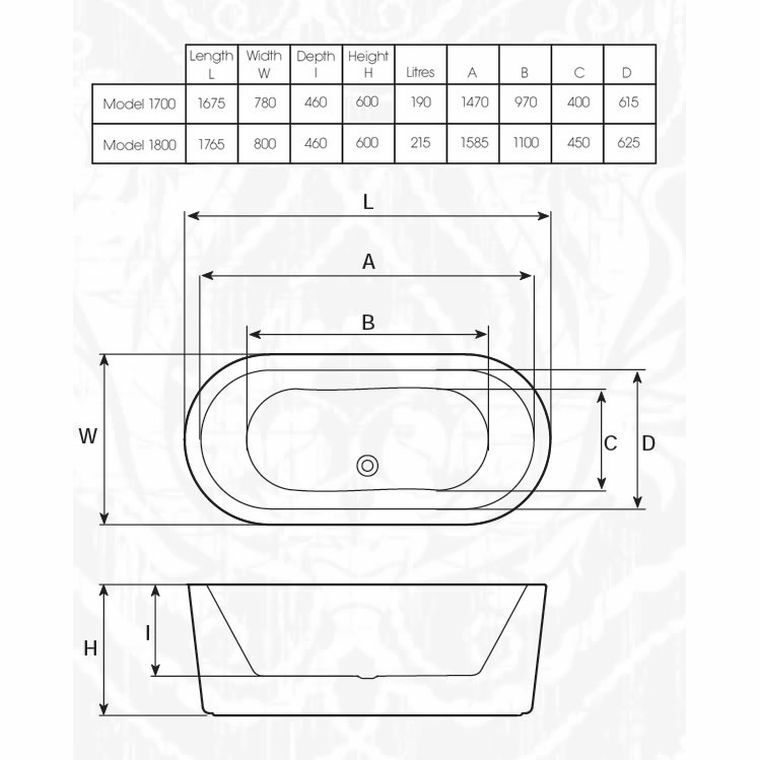 Oval ends w/straight sides for cntr piece or against a wall. Symetrical chiseled verticals make this a striking masterpiece.